Marilynn B. 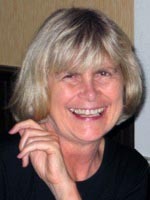 Brewer is internationally known for her contributions to research and theory in social cognition, especially social identity and intergroup relations. Her early work, based on ethnographic interview and survey data from East Africa, began by overturning two fundamental assumptions about group identity. The first was that group identity was a unitary phenomenon based on discrete in-group/out-group categories. She showed that group identification shifted as a function of the evaluative dimension, and that the same set of in-group/out-group differences, could engage stereotypes leading to positive characterization of in-groups and negative characterizations of out-groups. The second overturned assumption is that in-group favoritism is a product of intergroup conflict and competition. Brewer established that in-group love/favoritism and outgroup negativity are distinct. This pioneering work early in her career became the touchstone for an exceptionally rich and intellectually rigorous career of research and theory that spanned several decades and several continents. Brewer’s primary focus has been on social identity, collective decision making, prejudice, and intergroup relations. She also contributed to ongoing debates on research methods, epistemology and evolutionary theory. The latter interest was evident in her development of optimal distinctiveness theory, based on the idea that the conflicting costs and benefits of sustaining an optimal group size would have shaped social motives at the individual level. Accordingly,the theory posited distinct, and opposing, drives for individual differentiation and group belonging. As needs for inclusion in a group were satisfied, needs for differentiation would become more salient, motivating social identification with distinctive groups that could simultaneously satisfy both needs. Optimal distinctiveness theory provided a framework supporting an increasingly sophisticated range of research studies with students and colleagues throughout the world on intergroup perception, stereotypes, priming effects, and self-concepts. Among the results of this work are the findings that group membership can facilitate cooperation in social dilemmas as well as provide a basis for depersonalized trust and cooperation. Other research shows how identity complexity – membership in multiple groups – is subjectively represented and moderates attitudes toward diversity and intergroup relations. Not only is the rigor of Brewer’s work highly regarded, but so also is its relevance to the issues of social life in an increasingly globalized world. Among many awards, Marilynn B. Brewer was elected as Fellow of the American Academy of Arts and Sciences and received the Distinguished Scientist Award from the Society of Experimental Social Psychology, both in 2004, and the American Psychological Association’s Award for Distinguished Scientific Contributions in 2007. She has also been President of the American Psychological Society, among other professional associations. Her editorial service also includes Associate Editor of Psychological Review and Editor of Personality and Social Psychology Review. A native of Chicago, Brewer received her doctoral degree in Social Psychology from Northwestern University in 1968. She held academic positions at Loyola University; University of California, Santa Barbara; and University of California, Los Angeles. She was lured her back to the Midwest as an Ohio State University Eminent Scholar in Social Psychology, the position she retained until her retirement in 2008. Marilynn Brewer is currently Professor Emeritus at the Ohio State University and Visiting Professorial Scholar in the School for Psychology at the University of New South Wales in Sydney, Australia, where she currently lives. * The FABBS Foundation would like to thank Linda Caporael and Susan Fiske for nominating Dr. Brewer for this honor and for leading the effort to spread the word about her nomination. Would you like to honor Dr. Brewer? It isn’t too late to have your name added to the list of donors! You can make your donation to Dr. Brewer’s “In Honor Of…” campaign at any time.